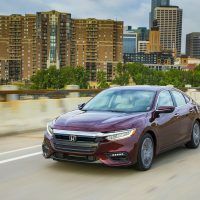 The 2019 Honda Insight sports a hybrid powertrain and gets an estimated 51 mpg in the city. 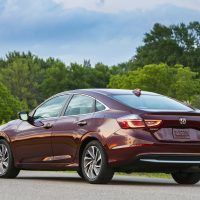 That’s not as good as a Toyota Prius, but the Insight has impressive styling and it doesn’t look like a fuel-stingy model. 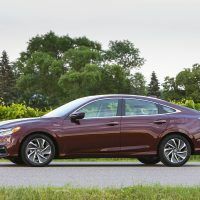 Honda isn’t just focusing on fuel mileage; they are instead touting it as being a quiet, comfortable, well-equipped, and affordable sedan. 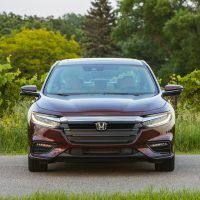 This weekend, we drove the top-trim, 2019 Honda Insight Touring. 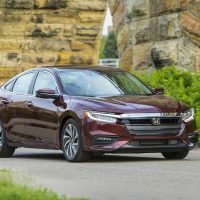 Even though the Insight nameplate is not new, the 2019 Honda Insight is an all-new hybrid vehicle for the Japanese automaker. 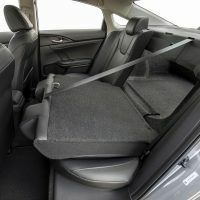 The Insight Touring comes well-equipped with leather seats, rearview camera, heated front seats, auto-dimming rearview mirror, eight-way power driver’s seat, heated outside mirrors, and a power moonroof. 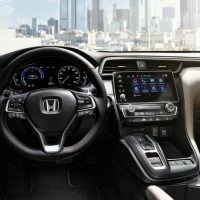 The Touring also comes with an eight-inch infotainment system that includes Apple CarPlay, Android Auto, satellite and HD radio, and two USB ports. Touring models add navigation, HD digital traffic, voice recognition, and a 450-watt premium audio system with 10 speakers. 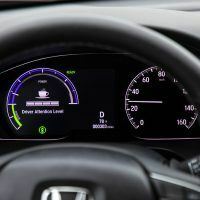 HondaLink cloud-based services are also available. 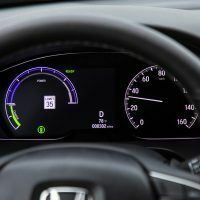 Every Insight comes standard with the company’s Honda Sensing suite of advanced driver safety aids, which includes adaptive cruise control, forward collision warning with emergency braking, lane keeping assist, and automatic high beams. Total MSRP including destination: $28,985. 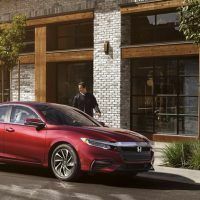 Stepping into the 2019 Honda Insight reveals an upscale cabin with touchscreen infotainment, spacious accommodations front and rear, and a large trunk with plenty of cargo space. 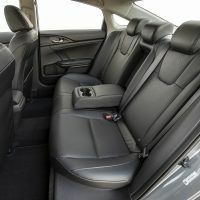 The interior reminded us of the current Accord sedan with a warm ambiance. Honda has done a good job with the material quality and overall fit and finish. 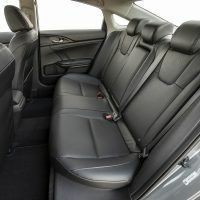 The leather-trimmed front seats are comfortable for six footers in the Touring, and the lower cushions adjust for tilt. Touring does come with a moonroof that cuts into a taller person’s headroom, however. 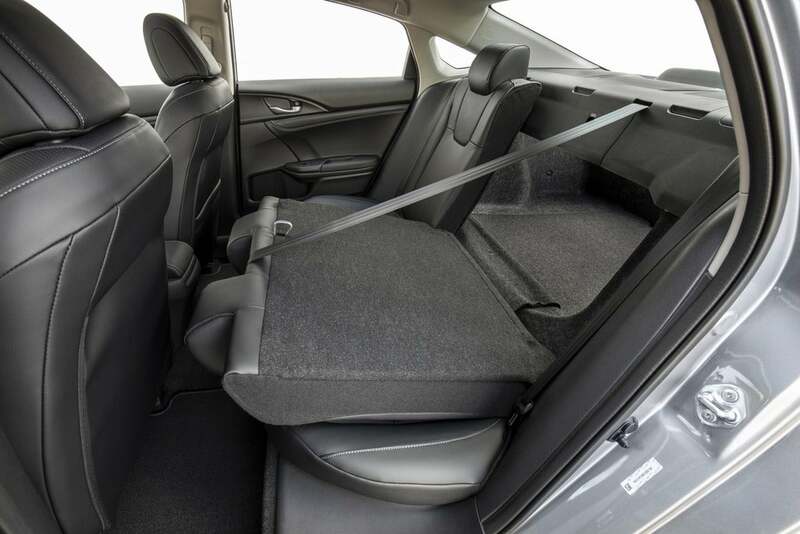 The back seat has plenty of legroom, but headroom seems more limited than others in this segment. We thought visibility was good from the rear and sides for a small sedan. 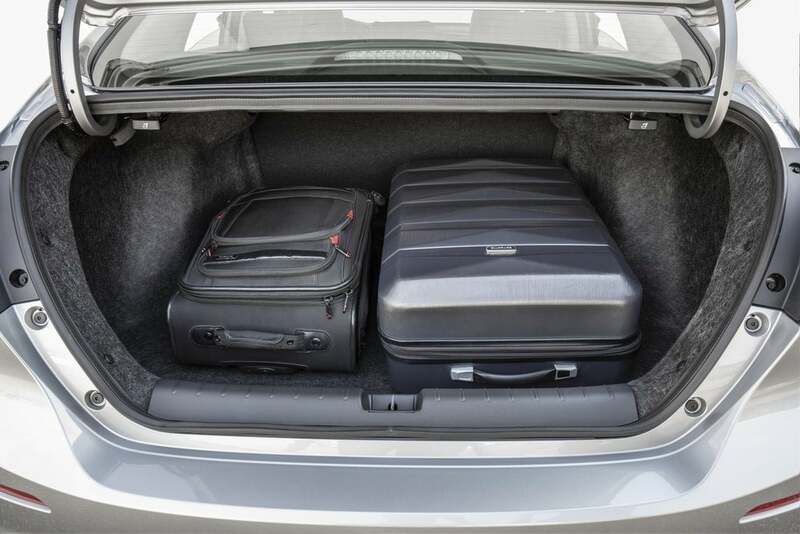 The hybrid battery sits underneath the rear seat but we didn’t notice a sacrifice in room because of it. 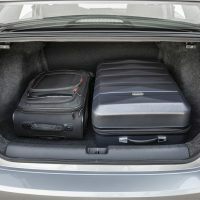 Insight offers a large trunk with a flat floor and low load height, making it easy for us to load cargo for our weekend trip. 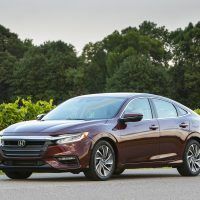 The new Honda Insight is powered by an Atkinson-cycle 1.5-liter inline-four cylinder engine that makes 107 horsepower and 99 lb-ft. of torque. 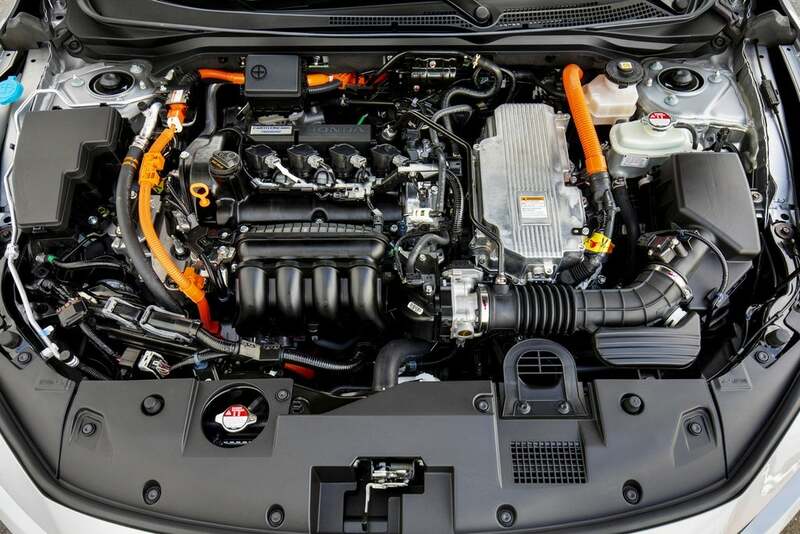 The engine boasts an exemplary 40.5 percent thermal efficiency. 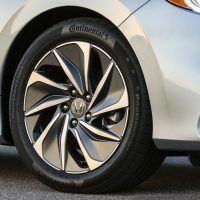 With the electric motor, Insight has a combined output of 151 horsepower and 197 lb-ft. of torque. The engine can supply power directly to the front wheels through a clutch and fixed gear ratio. 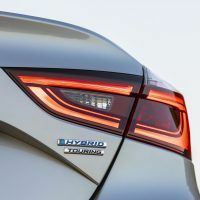 There is not a traditional or continuously variable transmission in this new hybrid. 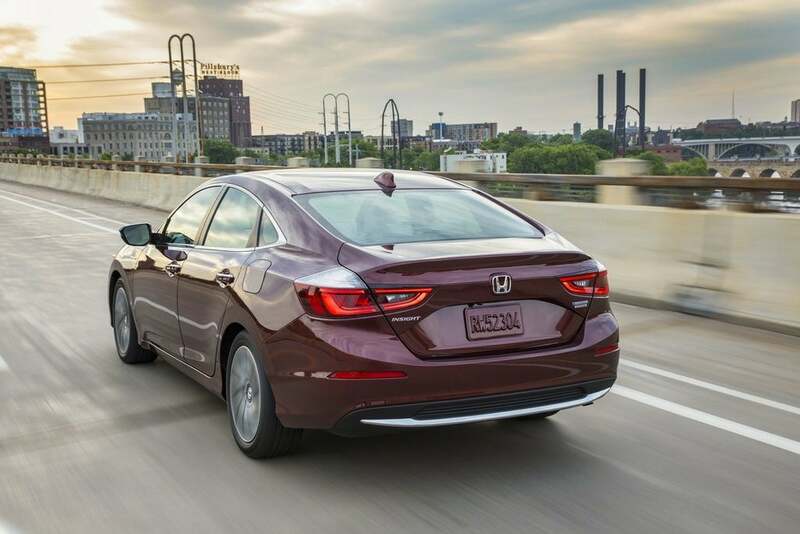 The Insight achieves an EPA-estimated 51/45 city/highway and 48 combined mpg. The new Insight is fun to drive around town and easy to maneuver in heavy traffic. The electric motor carried us without the gas engine and kept us moving forward in stop-and-go traffic in Denver this weekend. 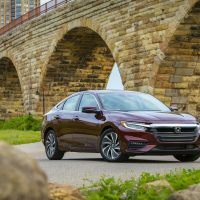 Honda says at lower speeds, the Insight will go up to a mile without the gasoline engine firing up. We averaged close to 48 mpg for the weekend, and we even pushed it hard at elevation in the mountains. The electric motor provides smooth and easy power at low speeds, but when we pushed hard on the pedal heading up I-70 west of Denver, the gas engine noise reaches the cabin. You will hear the engine speed rising and falling in line with the accelerator pedal. The experience is similar to a car equipped with a continuously variable automatic transmission which is a disappointment. It’s not a sporty sedan, but acceleration is strong because of the torque from the electric motor. 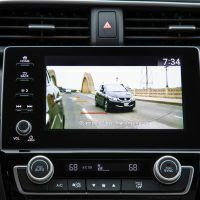 Honda’s LaneWatch system (Touring only) puts cameras on the sideview mirrors and displays their view on the entertainment screen when you activate the turn signal. It’s an excellent system for seeing someone in your blind spot. 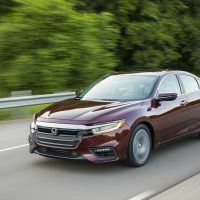 The 2019 Honda Insight is an affordable sedan that doesn’t look like a traditional hybrid. 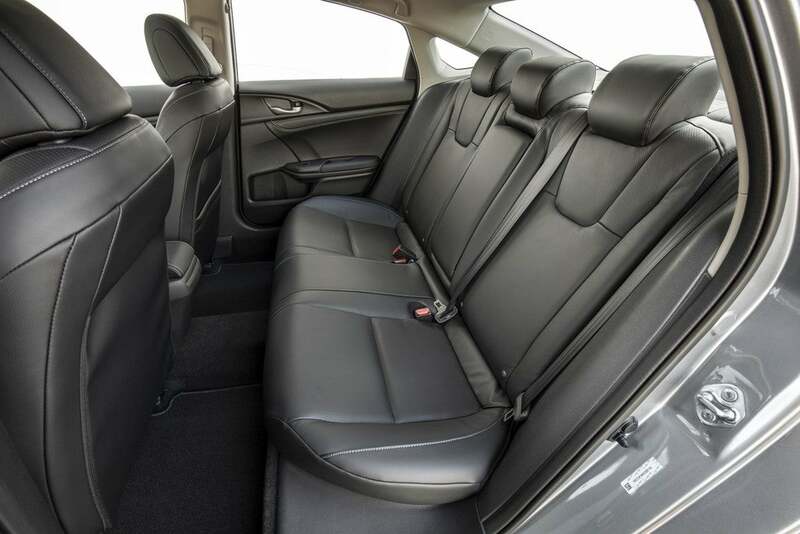 It comes in an attractive package with a comfortable, upscale interior. 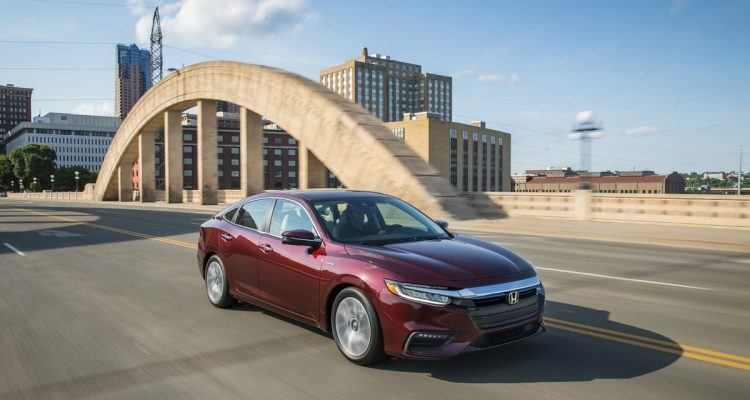 Honda priced the Insight right – even the upper Touring trim comes in under $30,000. 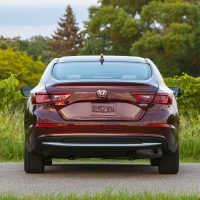 2019 Honda Insight Official Site. 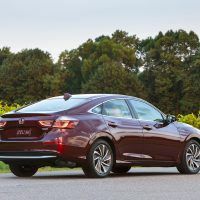 No Comments on "2019 Honda Insight Touring Review"